Domain auctions are one of the most important market venues for a domainer – whether you are a buyer or a seller. If you are a seller, they offer immediate liquidity for your domains – you don’t need to wait for an end user (or another domainer) to show an interest in your domain. If you are a buyer, you have a choice of a number of often high quality domains available for purchase at wholesale levels. Even if you aren’t buying or selling, the results of major domain auctions provide a good barometer of the health and direction of the domain market. In addition, domain auctions can be lucrative for auctioneers, so recently there has been an explosion of auctions competing with each other for domainers’ attention, domains and pocketbook. In this article, I provide a list of the main domain auctions that are held. As the market is quickly changing, I will keep this list updated over time. There are three main types of auctions: live, online and auctions for expired domain names. The live auctions are usually tied in with a domain or other industry conference, and the domains auctioned are usually of the highest quality (and prices!). The online auctions are run in a manner that most people are probably aware of – similar to eBay. Finally, expired domain name auctions are in a category of their own as they sell previously owned domains that were not renewed – and nowadays, often pre-release domains. 1. Sedo – Sedo probably provides the best and largest variety of continuous online domain auctions. You can view a list of all the auctions they have running here. If you’re an auction junkie, you can subscribe to the RSS feed for the auctions. 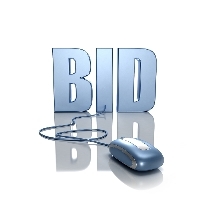 Buying on Sedo is simple – just create an account and place a bid. To sell via auction a domain you have listed at Sedo, you normally need an offer on your domain. It is generally considered appropriate (by domainers although not by Sedo) to ask someone to place the initial offer, provided that person does intend to go through with the offer if accepted. As well, on rare occasions Sedo reps will allow a domain to be sent to auction without any offers. Sedo occasionally runs online auctions as well, such as their recent Geodomain auction, so keep your eyes peeled for this as well. 2. Afternic – Afternic also offers a large number of auctions, though not as many as Sedo. You can find a list of all their active auctions here or simply subscribe to their feed. To buy domains on Afternic, you need to purchase a membership, the cost of which is currently $1 per year. If you wish to sell domains on Afternic, you must purchase a membership that costs $19.95 per year. Like on Sedo, if you receive an offer on a domain, you can push it to auction. Afternic also recently started offering auctions for expired names, which I discuss below. 3. TDNam – Run by Godaddy, there are always lots of active auctions here. There is a lot of overpriced crap, and some real jewels buried here. If you have the patience to sort through a lot of listings, you can get some good deals. The auctions that are closing soon can be found here. Anyone can buy. To sell a domain name, you need to become a member for $4.99 per year. There are then a variety of fees depending on what options you choose for your auction. 4. eBay – Yes, eBay. Not exactly a prestigious domain market and one where you probably need to be the most cautious. That being said, if you are involved in the purchase or sale of low value domains, 3 character domains, 4 letters domains, etc., eBay has a thriving market. You can find a list of all the domain auctions here. That’s a lot of domains to keep track of, so you may wish to simply watch the most popular domain auctions. Set up a free account to buy or sell a domain. To sell a domain, you must list if for sale. There is an insertion fee and a fee based on the final sale price of the domain. You can see eBay’s list of fees here. Selling your domain at a 7-day auction is probably best. You’ll also want to ensure your auction ends at a convenient time for West Coasters, East Coasters and Europeans – I’d say 3 p.m. to 6 p.m. is probably best. Sorry to people living Down Under – I just don’t know how to accomodate you as well. 5. Domain Forums – There are a number of domain forums that allow members to auction off their domains in whatever format the seller chooses. This is probably the quickest way to sell a domain, but likely where you will get the lowest price (there are exceptions to this – e.g. LLL.com seem to sell well here). Obviously, a good place for bargain hunters, but caveat emptor – make sure to deal with reputable members or use an escrow service to close the transaction. Probably the most active sales forum is at DN Forum, although you need to become a member to buy and sell. Namepros and Domainstate also offer a place to auction your domains. There are a number of niche domain market places, like Acorn Domains for .uk domains. A number of webmaster forums also offer the opportunity to buy and sell domains, such as v7n, DigitalPoint, etc., but these are generally not as effective as the main focus of the forum is not domaining. A special note of caution goes out about Sitepoint. Although it is a great place to buy and sell websites, I don’t recommend it for domains. There is no feedback system, so people can serially rip off others with no consequences. Comments that a seller may be selling a domain they don’t own get deleted. There are also a lot of people who go around randomly bidding on auctions with no intention of paying. Combined with a hands off attitude of the moderators of the forum, it is really not worth the hassle for domainers. These are probably the best auctions to buy or sell premium domains at a wholesale level. Generally, all of the heavy hitters in the domain industry attend these auctions prepared to buy. These auctions are normally held in conjunction with a major domain or other industry conference. Buying a domain at a live auction requires a bit of preparation. Many bidders go to the conference and attend the auction in person, with all the attendant conference fees, travel preparations, and so on. Most of the live auctions now allow telephone or online bidding, but often require payment of a fee for the permission to bid, plus prior arrangements to set up your bidding. Selling a domain at a live auction also requires a bit of preparation. Generally several weeks or even months in advance, the organization running the auction will put out a call for domains to sell. They are then swamped with domainers submitting their domains. If you thought going through expired domain lists was a long and tedious process, then pity the poor people who have to go through the list of domains submitted. They weed through all of the domains and choose the best ones to put up for auction. “Best” in this scenario often includes a judgment of the domain’s reserve – a good domain might be rejected if the auction company believe that the seller wants a reserve that’s too high. How you should set your reserve is a topic worthy of a post in its own right (hopefully coming soon!) Read carefully the contract that the auction company requires you to sign – often there are important limitations such as giving them the exclusive right to sell your domain for a period of time before and after the auction. Fees are usually 10% to 20% of the sales price of the domain. 6. T.R.A.F.F.I.C. – T.R.A.F.F.I.C. is the granddaddy of all the domain conferences and live auctions. They now run several events per year. One is just fininshing today – T.R.A.F.F.I.C. West Las Vegas. Upcoming events in 2008 include Orlando from May 20 to 24, New York City from September 23 to 26, and the first one in Australia, on November 18. You can keep up to date with these auctions and conferences at their official website (which sadly doesn’t even rank in Google for its own official name). Auctions are run in conjunction with Moniker and Snapnames (both owned by Oversee). After the live auction, there is generally a “silent” auction – an online auction for the remaining names and any names that did not sell at the live auction. 7. Domain Rountable – An annual domain conference that will be held this year from April 18 to 21 in San Francisco. The live auction will be held on the last day. You can find out more about this auction at their website. The auction is run by Domaintools. A bit more of a mixed bag of domains in their auctions than T.R.A.F.F.I.C. Good bargains on cheaper names are available, but there also seems to be a lot of bad domains chosen as well. 8. Domainfest – A newer but very vibrant domain conference. They held a successful live auction in conjunction with their conference in January of this year in Hollywood that actually received much positive coverage in the mainstream media. As of this writing, the next conference date hasn’t yet been announced, but you can keep track of this at their official website. 9. Moniker – Although they run the T.R.A.F.F.I.C. auction, Moniker are really in a category of their own, pioneering the running of niche domain auctions. I have previously covered their geo domain auction. They also run live adult domain auctions, casino affiliate auctions, affiliate marketer auctions, dating domain auctions, auctions at webmaster conferences, and more. If you have a specific domaining niche you’re interested in, a Moniker live auction may be the best choice for you. You can keep up with all of their auctions here. 10. NameBuyers – A newcomer to the field, this company made waves in November by holding a live auction at the same time and in the same city as the Florida T.R.A.F.F.I.C. show. I don’t really know much about this outfit as they are so new, but you can keep up with them at their website. They seem to specialize in lower quality domains than the typical live auctions, which may be of interest to people on more modest budgets. There is no need to travel to another city to participate in a domain auction – you can do so, from the comfort of your home, wearing pyjamas and eating popcorn. There are now enough online auction events spread throughout the year to keep any domain junkie happy. They are really simple to participate in – just create an account and bid! Selling your domain usually involves a procedure similar to selling your domain in a live auction (discussed above) and in fact, many domains that are submitted to live auctions but aren’t premium enough get sent to an online auction. 11. GreatDomains – Actually a part of Sedo, GreatDomains runs a week long auction of premium domains every month. They normally have an extremely good selection of domains. One of their auctions just started a couple hours ago and you can find it here. 12. DomainTools – I’m not sure whether to recommend these auctions, as the company has made a number of recent moves that are not really in domainers’ best interests. Also, the auctions have had lacklustre results and the company sometimes seems to fly by the seat of its pants, changing dates, rules, and commissions as they go along. That being said, they’ve got some great technology behind their auction system and are fighting hard for their share of the auction pie. If you are selling a domain, just be sure to know what the rules are and set an appropriate reserve. Their next auction in on February 29, 2008. 13. GoDaddy – GoDaddy is jumping in the online auction market with their series of Signature Domain Auctions. The first one was a flop – not many domains, low quality domains, very high reserves – all the ingredients for failure. However, Godaddy has listened to criticisms from the domain world and even hired a prominent domainer, Adam Dicker, as a VP. Given their resources and willingness to make it work, their future auctions may well be worthwhile. 14. Snapnames – Better known for its expiring domains auctions (see below) Snapnames also auctions off other domains as well. Selling names through them is a somewhat complicated process, which involves transferring your domain to their designated registrar first so that sales may be completed quickly. You can find detailed instructions on how to sell your names there. With a lot of buyers and a lot of sellers, the Snapnames marketplace works very well, and is good for domains of pretty much any level of quality. 15. Sibername – It’s new and small, but shows a lot of promise – Canada’s first premium domain auction platform. It runs in conjunction with the weekly TBR auction. The auctions still need a lot of promotion, so if you are submitting a name for sale, be sure to set an appropriate reserve. A great auction if you are looking for a good .ca domain. To bid, you’ll need an account at Sibername. To submit a name for auction, simply submit an email to them. In this market, you are bidding on domains that have expired or are about to expire. While the quality of domains available through these auctions is gradually going downhill as people and registrars realize the incredible value of domains, there are still many good domains available. I’m not sure that it’s possible to pick up any bargains at these auctions, but there are still a number of reasonable deals if you do your research properly. One new development in this market is pre-expiry domains. These deal with domains that are in the expiry period but haven’t yet droppped. Registars have exclusive deals for where there pre-expiring domains go, so each company will have different names available. You will want to register with all of the below companies as each one will have a different selection of pre-release domains and each one manages to catch a good share of dropping domains. 16. Pool – Pool is a lean, mean, drop catching machine. They always catch many of the best drops and if you’re serious about expired domains, you must pre-order them at Pool. Unfortunately, service is bad and the registrars to which they transfer the domains you win often have even worse service. 17. NameJet – A new entrant in the market, their competitive advantage is their exclusive partnership with Network Solutions as well as several other large registrars. As Network Solutions was orginally the monopoly registar and in the past has been the registrar of choice for large corporations, the names they have dropping are often the best. I’ve never had an email that I sent them answered – go figure. Sign up for their pre-release and pending delete auctions at NameJet. 18. Snapnames – In my opinion, Snapnames is the best of the expired domain auction companies. Their customer service is great and their bidding process is the most transparent of all the auction companies. They do well with drop catching and as discussed above, are also branching into online and live auctions. Go to their website, sign up and place your orders. 19. Afternic – A newer entrant into the expiring domain market. As discussed above, there is a modest membership fee for participating. You can see their auctions here. 21. Bido – Bido is set to launch on February 29, 2008. They offer a number of unique features, including only one domain being auctioned each day, a low commission rate of 8%, and educational information about the domains being offered. The company is backed by people of integrity and substance in the industry, including Sahar Sarid of Recall Media Group and Ron Jackson of DN Journal fame. I’ll write more about this company once it launches and I can try out their services. I’m sure in the year ahead, there will be many changes to domain auction companies – mergers, new entrants and probably unforeseen developments. These competitive conditions should combine to make domain auctions an even more attractive option for domainers. Happy bidding and good luck with your sales! Once again you’ve put together a good, comprehensive reference for the rest of us. Very informative, much like your domain blogosphere post. Thanks. You forget bido from Feb 29th and PremiumDomains.com very soon. @ Bill – thanks for your kind words! @ Francois – Thanks – I’ll add in Bido. I was unaware that PremiumDomains.com held auctions. If you know more about this, please feel free to let me know either with a comment or email. Thanks Michael – I’ve added this in. how could we get notified ?? @2w – I do minor updates all the time. However, any major changes I’ll put in a current blog post. when-ever we’r away from your good site , then , how could we get notified of update in ‘the current best blog’s post of u ?? Otherwise, you can sign up for email updates – there is a box near the top right-hand corner. In case people don’t know, we are developing http://www.e3auction.com as a tool to help sort through and value the auctioned domains from Tucows. Login there to get extra info on the domains in that stream. Thanks Nick ,Your website is very informative. In domains forums you should not forget the namepros forum, by the way this is a great blog, I’m glad I found it. Wondering about the subject of .biz domains. Why are .biz domains so expensive now? They aren’t that popular of an extension are they? @Chicago DUI Lawyer – it looks like you are at Godaddy. They charge much more than most registrars for .biz – I’m not sure why. It’s probably a political or marketing decision on their part. Most other registrars charge pretty much the same for .biz and .com domains. I have a turnkey Fortune 500 Domain Name for Sale. There are so many lucrative business opportunities available with this domain. It is possible to generate 150K to 250K in the first year. This exclusive, premium domain name is not presently being used by anyone, anywhere. The Resell Value of Bailouttime.biz is yet to be determined. Business.com was purchased by R.H. Donnelley who beat out Dow Jones and the New York Times during the bidding. The sale was 47 times the 7.5 million 1999 purchased price. Business.com was sold for 350 million dollars in 2007. Charles, it’s spammer like you who give Domainers a bad name. Thanks for providing this useful information. You have some great tips and ideas in your blog. Thanks for the many resources here. Great job!